Note: the official view of //Build comes, of course, from the keynote session at //Build and the individual speaker sessions so if you find that anything that I write here seems out of sync with what you see at //Build then, of course, you should apply a pinch of salt to what I’ve written – I can be wrong and it’s early days yet. This post follows up from the previous post. I’d recommend reading that post before launching into this one and all the caveats that I applied to that post also apply here. 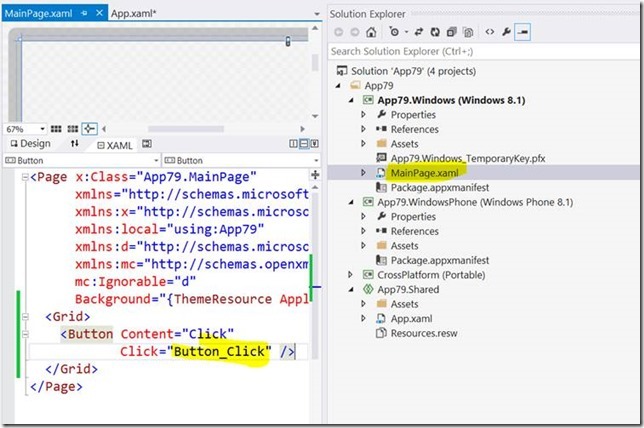 Having written a little in that previous post about the unified platforms, I thought I’d use this post to spin up Visual Studio and look at a “universal” app. 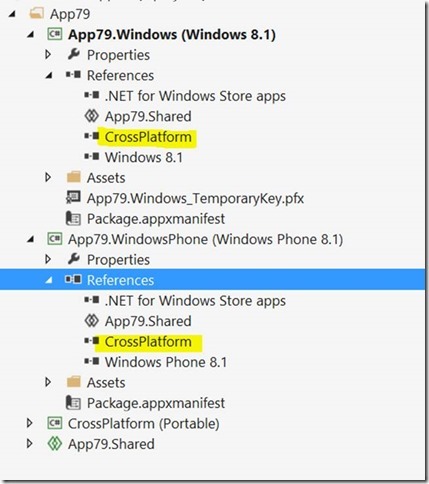 You might also spot that it’s possible to build both a universal Portable Class Library and also a universal Windows Runtime Component – I’ll come back to one of those a little later on in the post. 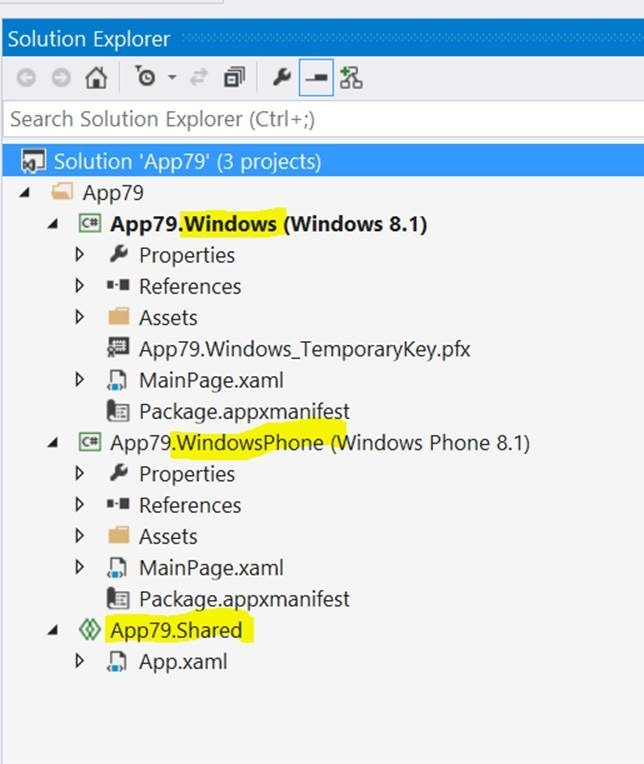 In the Solution Explorer screenshot above, I’ve got a Windows app, a Phone app and a Shared project. 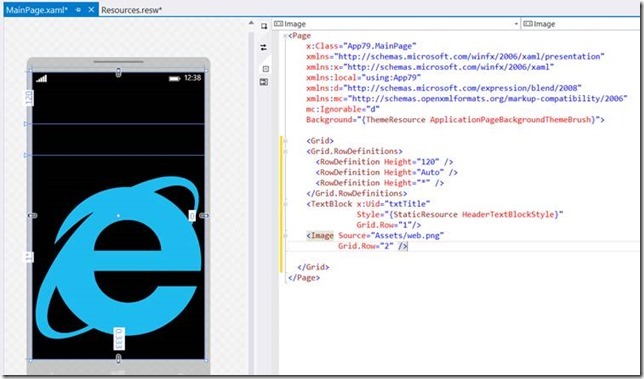 Its own MainPage.xaml file and MainPage.xaml.cs file. Its own assets for various logos and so on. It has some different logos because the app description is different. 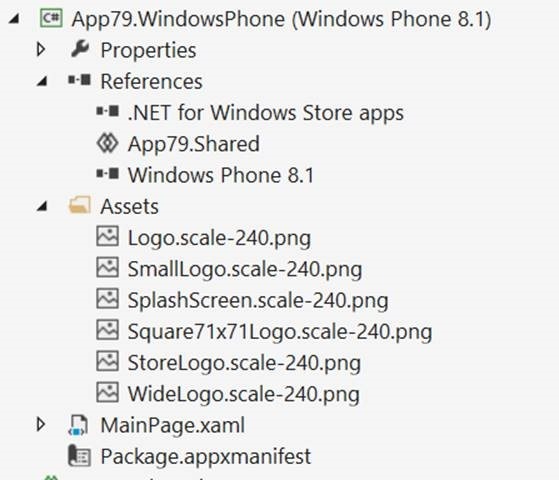 As a Windows Phone 8.0 developer you might spot that those logos are using the naming convention that Windows 8.1 uses for dealing with bitmaps at different scale factors (sometimes referred to as Modern Resource Technology or MRT). 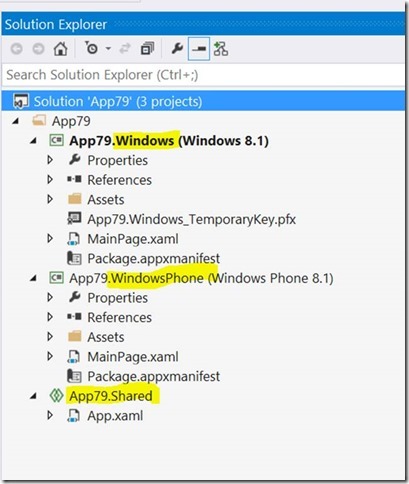 It has a reference to “Windows Phone 8.1” (WinRT) rather than “Windows 8.1”. What’s perhaps more interesting here is what’s missing. 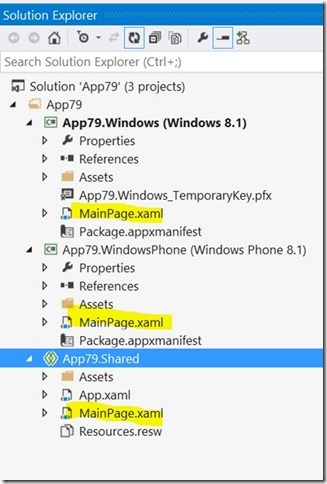 What’s in the Shared Folder? 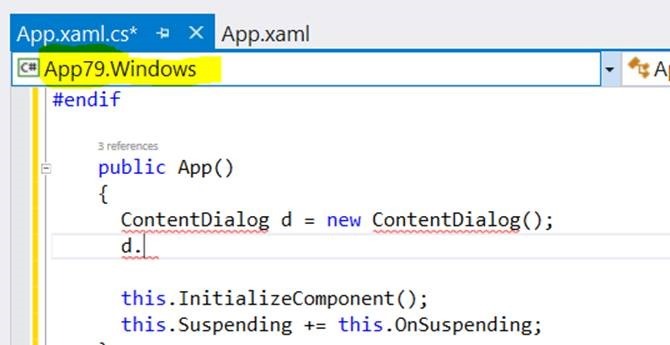 The shared folder is a little bit of magic to me which is a bit like the “linked files” approach to things in Visual Studio today with quite a bit of extra tooling support thrown added to it. It’s a real folder rather than just a concept inside of Visual Studio. 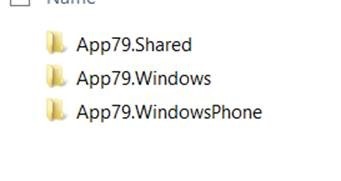 The way that I’m currently thinking about the shared folder is that items within that folder are essentially built twice – once in the context of the Windows 8.1 project and another time in the context of the Windows Phone 8.1 project. That means that if you’re going to work in the shared folder you need to be “a bit clever” in that the code you’re writing there really has to work in 2 contexts. although I think it’s fairly to say that this indicates that we’re using the same base class Application and the same variant of XAML for both Windows/Phone 8.1 here. 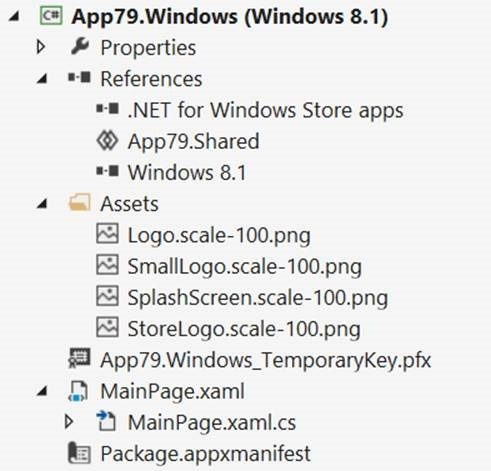 A Windows 8.1 developer is going to spot this as the standard “startup” bits that Visual Studio spits out for a Windows 8.1 app but there’s a little bit more in this particular file as we have conditional compilation including some elements for WINDOWS_PHONE_APP that aren’t included for Windows 8.1. Clearly, the file gets compiled twice. then note that the code within the #if now is included. 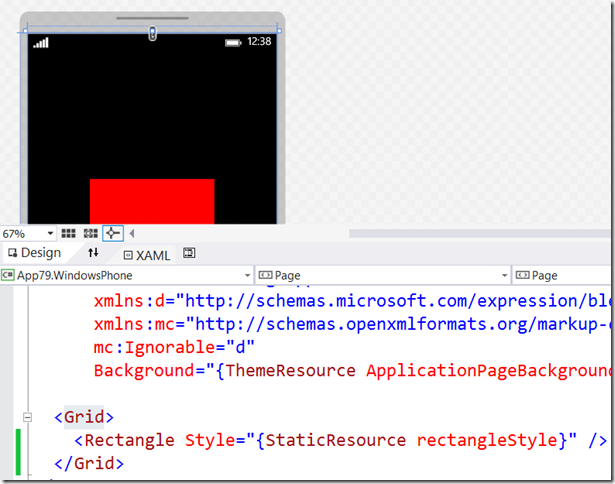 This also works for the XAML editor as I’ll show in the following example. then IntelliSense gives me nothing on that class any more as it’s not usable in Windows 8.1. 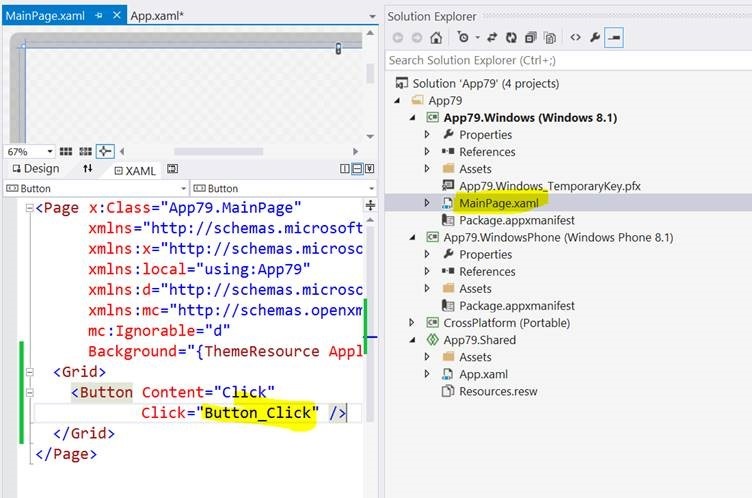 Let’s say that I want to build a simple example of an app with a TextBlock and a Button and have that button launch up the browser on the device. And you’d notice that the resource file format I’m using here is Resources.resw which is the Windows 8.1 resource format but which works in both situations. 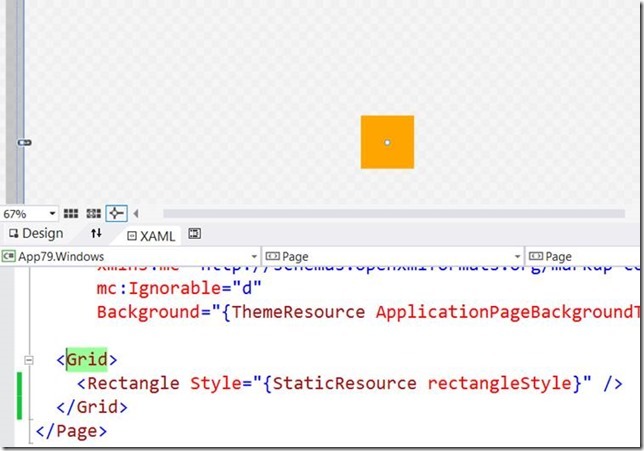 As an aside, I’d really like values specified via x:Uid and resource lookup to show up in the XAML designers. 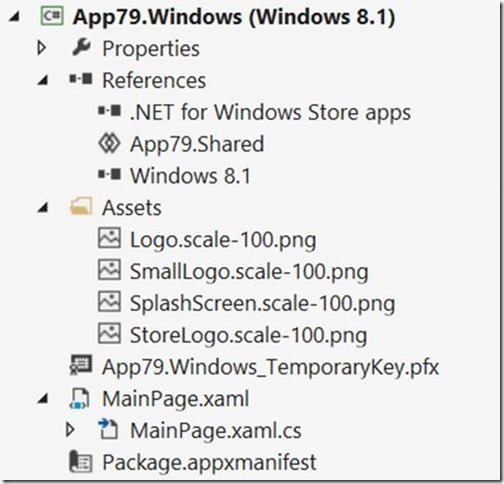 When it comes to making a “Windows 8.1 version” of this “app”, I realise pretty quickly that I might just want to use exactly the same UI so why not just copy MainPage.xaml and MainPage.xaml.cs to the Shared folder? Which seems fair. 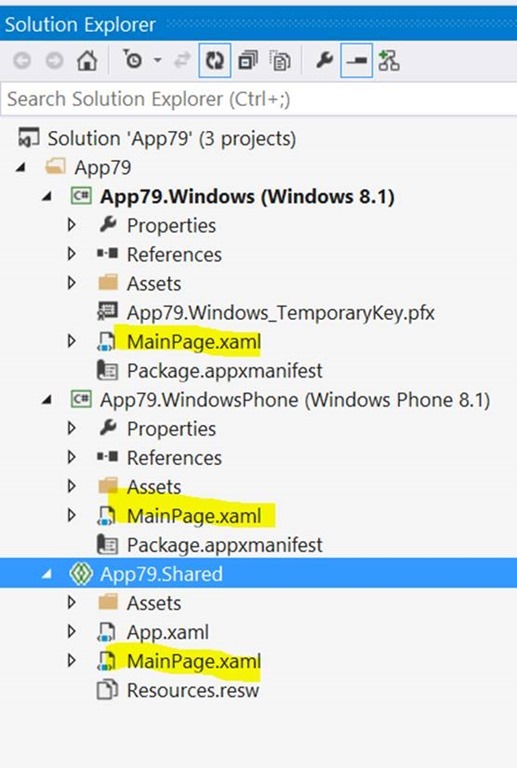 To rectify this, I can simply delete the MainPage.xaml/MainPage.xaml.cs files from the Windows/Phone projects leaving the sole remaining copy in the shared folder. That works fine – i.e. 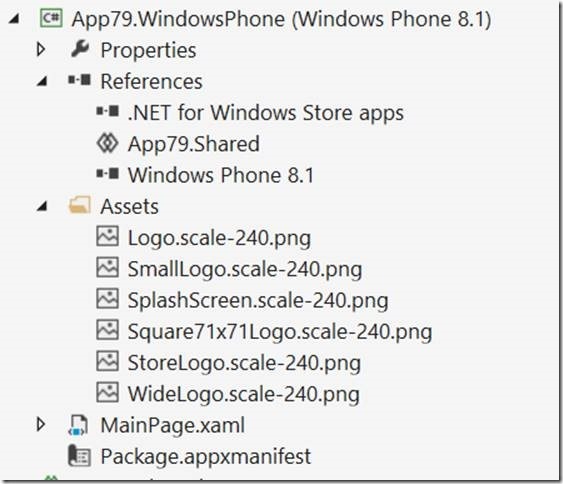 builds, runs, all fine for both Windows and Phone. 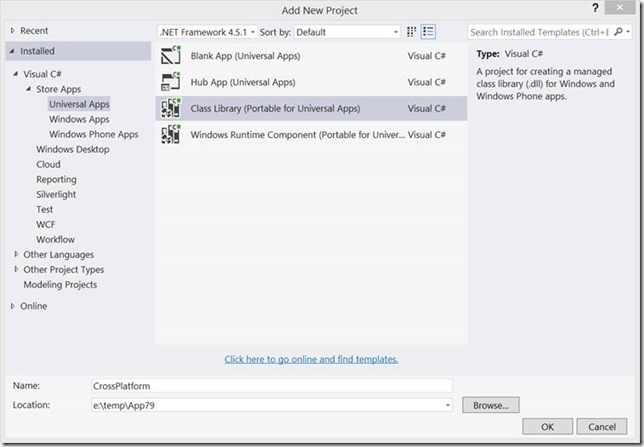 Rather than have code in the shared folder, I can build that code into a class library. 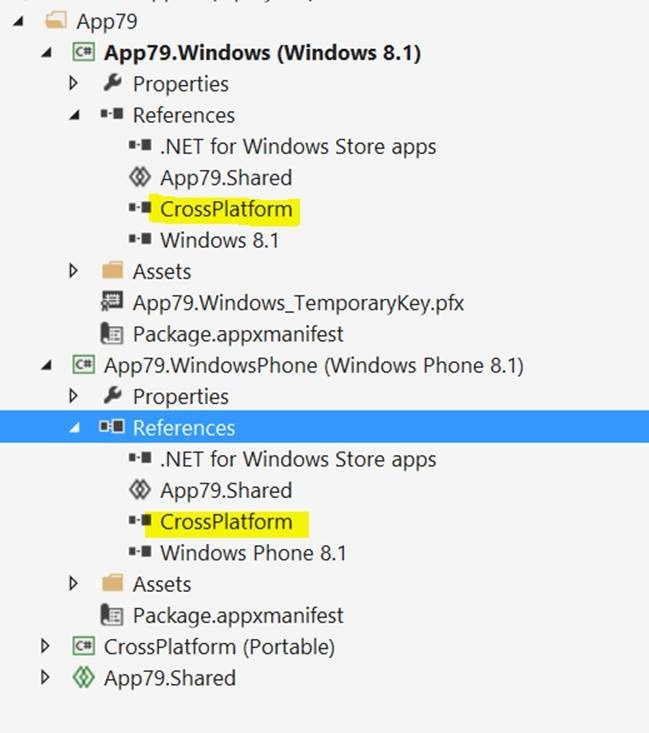 Because of the changes in the platform, that class library can contain code which makes WinRT API calls to a wide set of platform services while still being able to target both Windows/Phone 8.1. The “interesting” thing about using this portable class library is that I can’t add a reference to it from my shared folder which is where the calling code lives. which feels a little unusual the first time you do it but certainly works. Because of the way in which the shared folder works, it opens up some “interesting” things that you can do with it. Here’s a couple of examples that occurred to me while playing with it. Which is clearly a smaller, orange rectangle. 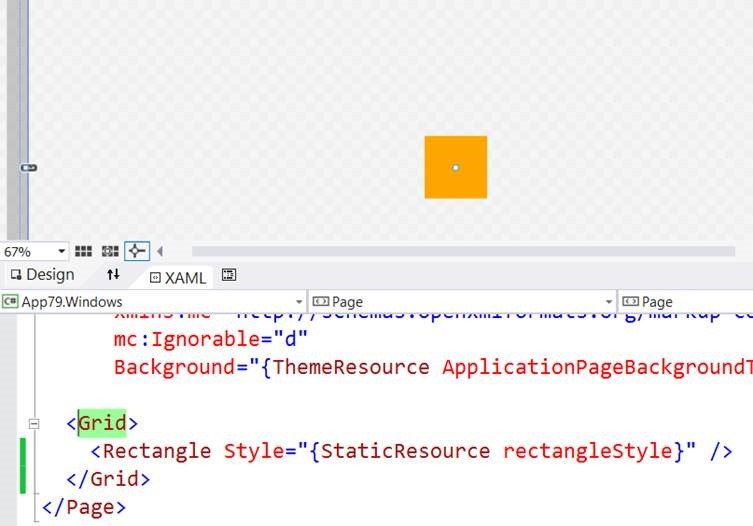 And then in each of the Windows/Phone projects I have a different styles.xaml file to re-style the rectangle for each project type (setting width, height, fill properties). What I would find really interesting with this would be if it were possible to change layout of (e.g.) grids using this technique – I think that might open up some possibilities. This is a fairly obvious thing to do. 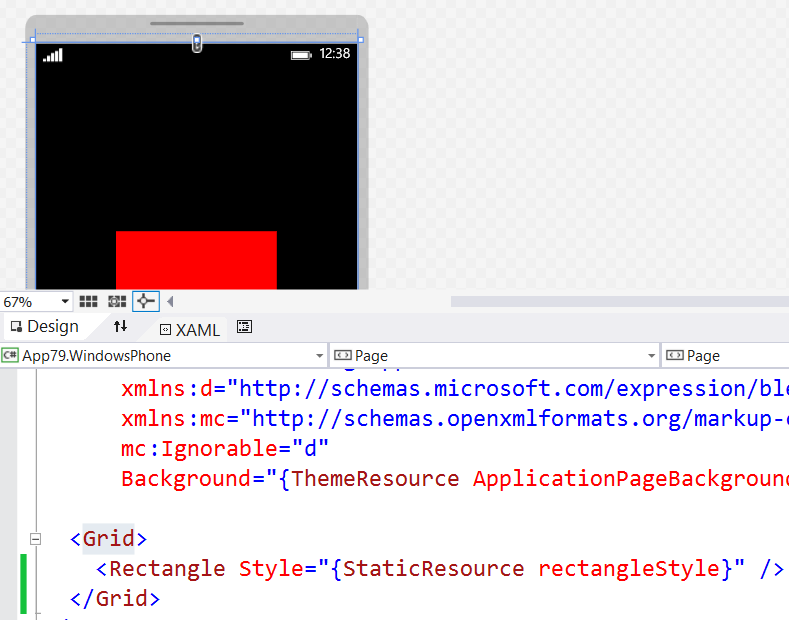 If I had some kind of scenario where I wanted to have separate UI in 2 projects for my MainPage.xaml (e.g.) then I could continue that partial class in the shared folder. 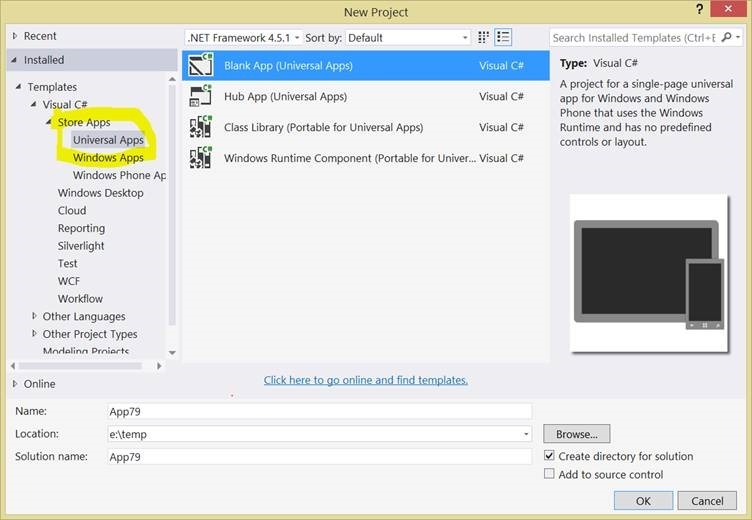 and I could have the exact same page and code in my Windows Phone project. 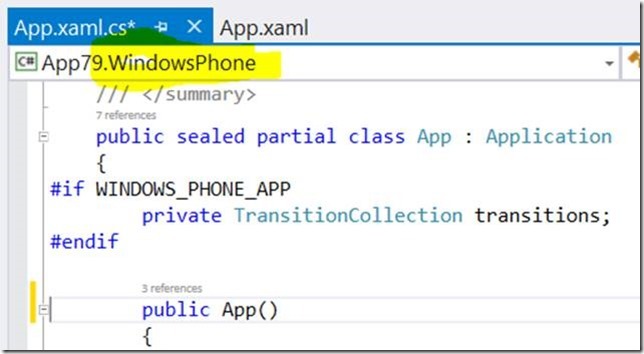 As long as I provide some implementation of Foo.Bar() in each of the Windows/Phone projects in a suitable namespace, it doesn’t really matter what that implementation does – I can use this as a cheap way of having different behaviour for the Windows/Phone platforms. I’m not sure that makes for great maintainability but it’s another little experiment with the shared folder system to try and figure it out. 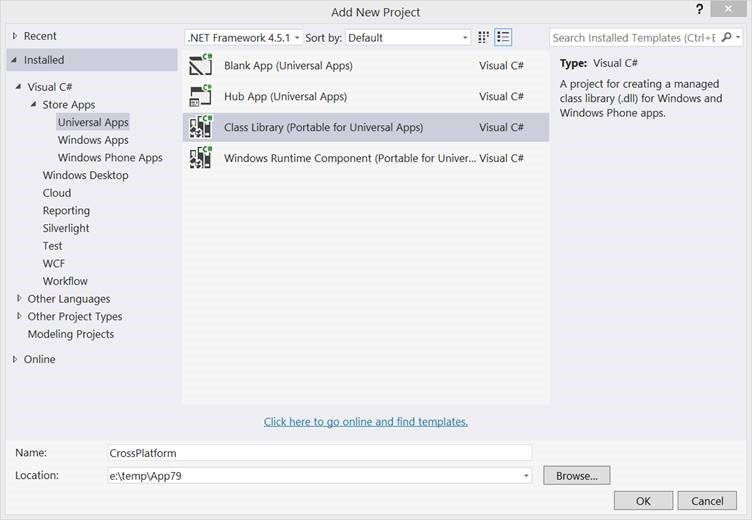 Visual Studio 2013 with the updates from //Build introduces the “universal” project which is a solution containing two projects – one for each of the Windows/Phone platforms along with a shared folder which, in my terminology, gets built twice – once in the context of a Windows application and again in the context of a Windows Phone application. 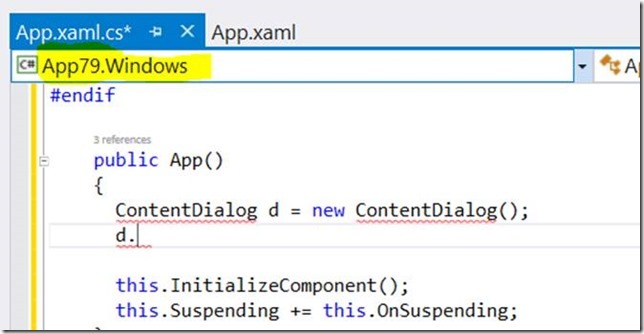 The tooling also understands this idea and does work to show you the right IntelliSense and designer when you edit a shared file such that you are viewing it in the context of a particular platform. I’m not 100% sure just yet (because it’s so new) of exactly how I’d intend to use it but my initial thoughts are around using it to share resources (images, strings, etc) that would usually sit at the top level of my app. 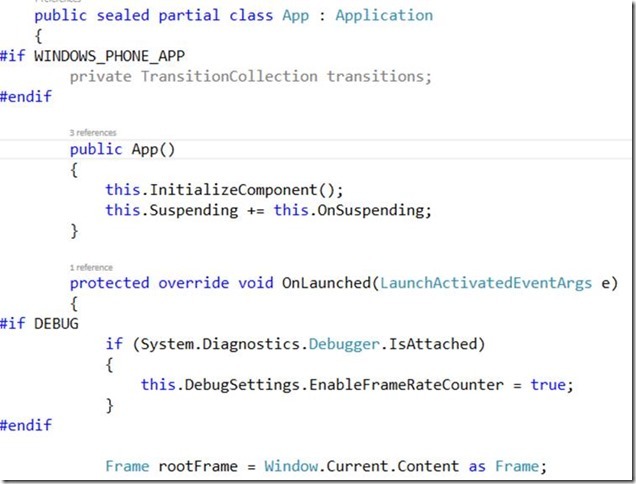 Beyond that, I’m still pretty attracted to the idea of sharing most code via class libraries with the big difference being that I can now build a PCL which targets both Windows/Phone 8.1. with good fidelity. 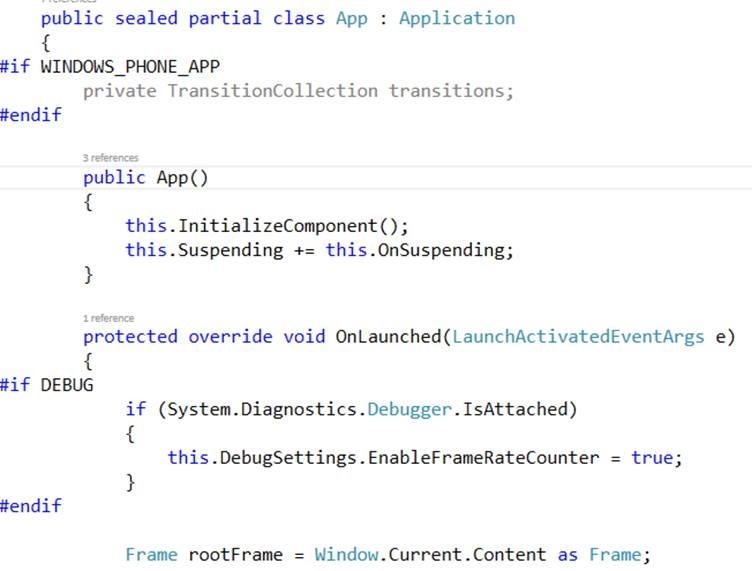 I’d still more than likely code to an MVVM+Service type model for the benefits that has but whereas in the past Windows/Phone might have been viewed as two platforms from that perspective, they are now pretty much one which is a really big step forward.